WHAT IF YOU COULD CONSCIOUSLY DREAM? THAT IS, BE ENTIRELY AWARE THAT YOU’RE DREAMING AND HAVE COMPLETE CONTROL OVER WHAT IS HAPPENING? WHAT IF YOU COULD EVEN CHOOSE TO ASK ANY QUESTION YOU WANTED OF ANY DREAM CHARACTER AT NIGHT? As a Shamanic Practitioner I’m often asked to recommend substances that get you “high” (which is slang for entering non-ordinary states of consciousness) legally. While I encourage people to carefully and mindfully explore the recesses of their minds, unfortunately there are many websites out there that advocate the use of “legal psychedelics” such as nutmeg, datura and morning glory seeds which all have dangerous side effects and even deadly consequences. It’s this type of misguidance that has lead to so many bad experiences, accidents and such a negative outlook on psychedelic drugs in society, as though all mind-altering substances are one-and-the-same. We’ve come to group paint thinner in the same basket as Ayahuasca ““ but just because something can alter your consciousness doesn’t mean it shares the same spiritual value. However, there is a group of entheogens known as “Oneirogens” (from the Greek oneiros meaning “dream” and gen meaning “creating”), which produce and also enhance dream-like states of consciousness. These herbs and roots have been used for thousands of years for prophetic divination through dreams, out-of-body experiences, and to consciously awaken you during dream states (Lucid Dreaming). Use: Taking at least five grams of this herb is required to be really effective for most people. Drink the herb before bed, keep an intent in mind before falling asleep (e.g. “I want to meet my Spirit Guide“) and repeat for several nights until lucid dreaming occurs. Buy: You can buy dried leaves to try from here. Mugwort has long been used by many cultures for prophetic dreaming and astral traveling (its Paiute name translates literally to “Dream Plant”). Smoking the herb directly into the lungs, or burning it as incense in the afternoon, assists with lucid dreaming. Drinking the calming, liver cleansing tea before sleep may also keep you longer in a conscious dream state (REM sleep). This herb often helps one heal while dreaming. Some users report having darker dreams that reveal hidden insights and core wounds, helping them to find closure. Use: 1 teaspoon per cup. Pour boiling water over the herb, cover, and steep for 10 minutes. Drink or smoke before going to bed (Mugwort has a floral taste when smoked). Buy: You can buy the organic bleach-free Mugwort teabags here. This plant was called Sinicuichi (or Sun Opener) by the Aztecs and is still used by Mexican shamans as a trance divination catalyst. This herb is regarded as sacred in that it enables vivid recollection of past distant events. Some users I have worked with have even reported the remembrance of pre-birth events! Effects: Apart from the intensification of prophetic visual imagery during sleep, Sun Opener causes a yellowing of the vision and altered acoustic perception. Use: Traditionally, fresh leaves are collected and allowed to wilt. The leaves are then put into a cup or jar, cool water is added, and the mixture is placed in the sun to brew and ferment for at least 24 hours. It is said that during the fermentation process, the knowledge of the sun is embedded into the potion, creating the “elixir of the sun” (hence the name). Buy: You can buy Sun Opener here in Raw Dried Herb form. 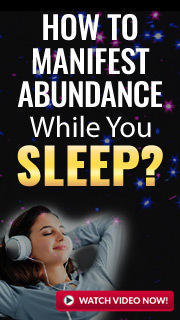 Use: Take 5-10 seeds one hour before bedtime for 3 to 5 days until vivid dreaming occurs. Silene is regarded by the Xhosa people of Africa as a sacred plant. Its roots are traditionally used by shamans to promote lucid dream states in healers and other shamans during initiation ceremonies. It is noted as a “teaching plant” that is considered highly sacred. Use: Mix this herb in small amounts in water and consume prior to sleeping. Silene also makes an interesting tasting tea but it can be bitter, so the extracted “shot” form is recommended. Buy: You can buy Silene Capensis here in Raw Dried Root form. Use: This herb is typically consumed in teas, elixir extracts, or by smoking it. If you have trouble dreaming or if you find yourself frequently waking up during dreams, blue lotus is a great supplement to use alongside one of the other substances mentioned in this article. Buy: I’ve heard good results from using roots which you can purchase here. Tian Men Dong is one of the world’s top adaptogens and is also know as the “Wild Asparagus Root” in English, and “Shatawari” in Ayurvedic medicine. The Chinese word for wild asparagus root is Tian Men Dong, or “heavenly spirit herb,” as it was cherished by shamans, monks, and yogis for its heart-opening effects. Chinese Taoist monks placed much value on dream work, nicknaming Wild Aspagarus as “The Flying Herb”; they found it effective to help one fly through the universe at night, achieving magnificent dreams and moving in alignment with the spirit. Use: 1 to 3 grams per day in a concentrated form. Buy: Asparagus Racemosus is also known as “Shatavari”, you can get organic Shatavari Powder here. Use: The inner meat of the seed is consumed directly, or the meat is chopped, dried, mixed with other herbs and smoked just before sleep to induce the desired dreams. Buy: Good quality Entada Rheedii seeds aren’t easy to find, a good source I’ve come across is the ones from Bouncing Bear Botanicals. If you plan on smoking any of the plants listed in this article, I would highly encourage you to use a vaporizer for your own health. The right herb grinder can also do wonders in making the process easier. I always recommend that you research very well any substance that you plan to consume and preferably grow them yourself. Keep in mind that the type, quality, age, storage and care of these herbs are all factors that will influence your experience with them. Not only that, but the set, substance, setting and right dosage, along with creating a strong enough intention are all essential elements that must be carefully considered before exploring the depths of your mind. I plan to explore this topic more in future articles. Have you ever tried any of the legal psychedelics above, and if so, what has been your experience with them? Let me know in the comments below.